June 13, 2016 - Like us now! Software giant Microsoft is going to buy LinkedIn, a social network for professionals, in an all-cash deal for a whopping $26.2 billion dollars. The amount of 26.2 billion dollars is decided on the base value of 196$ per share. Just after the announcement of this development, LinkedIn shares jumped 48%. The acquisition is still subject to approval by LinkedIn shareholders. However, the deal has been bilaterally accorded by the board of governors of both corporations and the acquisition is expected to be finalized by the end of this year. LinkedIn is an enterprise social networking site that was launched in 2003. It is a tool used by businesses and individuals around the globe for professional networking. As of 2016, LinkedIn had over 400 million users (106 million active users). Whereas, Microsoft is an American multinational technology giant that is popular for the development and distribution of computer software, consumer electronics, and associated services. It is widely known for its Microsoft Windows line of operating systems. So what does this acquisition mean for both parties? There is no word on what Microsoft will use this new acquisition for but we can easily say that this is Microsoft’s move towards improving their social networking presence. 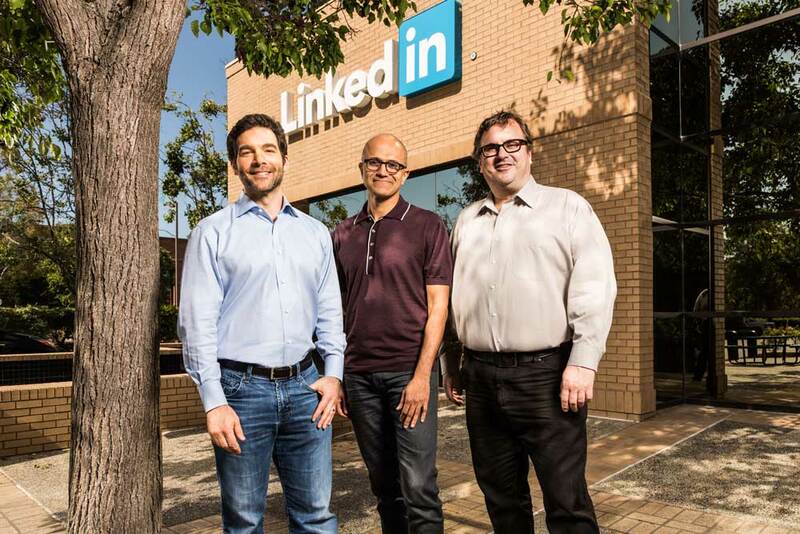 To date, Microsoft has never broken into the enterprise social networks but this deal with LinkedIn will now take the leading technology giant towards right towards potential success in the field. LinkedIn has remained relatively underground since their acquisition of Lynda.com and Slideshare last year. This news, however surprising it maybe, could open up more avenues for LinkedIn. Their partnership with Microsoft and the unique combination of their cloud services and LinkedIn’s network could help the latter expand their circle even more. Microsoft will also be holding a conference at 8:45 pm PKT tonight to further discuss its plans for the professional social networking service.